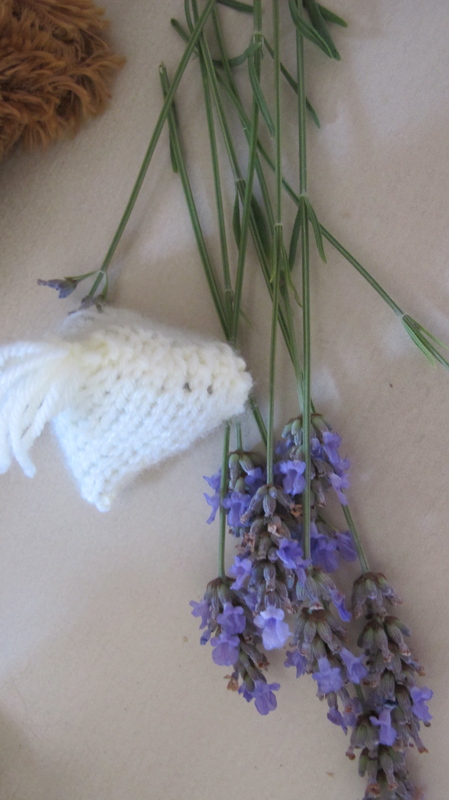 hmm went to harvest my lavender and the smell was so beautiful and then it got me to thinking of what I would do with the remainder of the dried lavender from last year.Here is the little triangular lavender bag.I made triangular knitted bags and crochets bags in Quick Crochet a while ago for my potpourri. 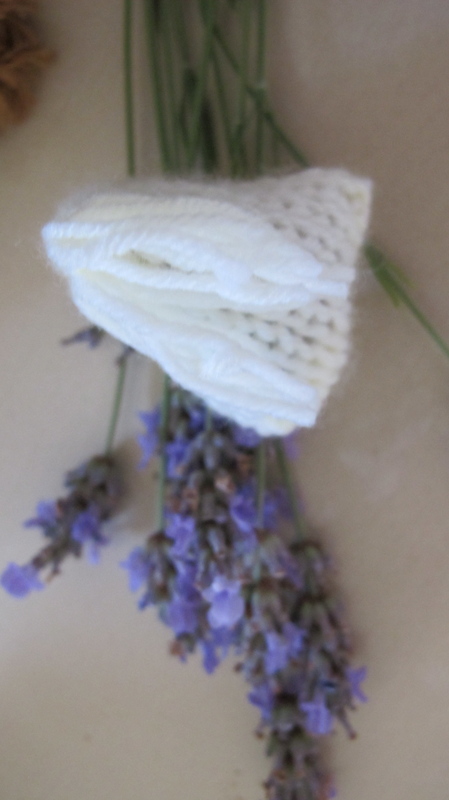 this time I decide to show you how a 10 minute knitting project can allow you to practise 3 methods of good knitting practise. 2.Make sure the edge stitches at the knit side of your work are purl stitches and therefore the seam stitches on the purl side will be knit stitches,this makes seaming easier as the fabric is curling the correct way. 3,Stitched bind off gives a lovely elastic finish to your work ideal for sock tops when knit toe up.also neck edges, cuffs etc looking at last knit row with yarn at right hand edge,thread a needle and put it through the 1st 2 stitches towards end of needle,now take it back through the 1st stitch in the opposite direction,allow the 1st stitch to fall off the needle and repeat the 2steps again. 3 .Kitchener stitch practise on your seams top and bottom and mattres stitch seam on the side.My way off doing kitchener stitch is to marry a stitch which is splayed outwards with a stitch that is splayed inwards. Little knitting lots of practise whilst making up and good presents. Remember to get the triangular effect, after seaming the bottom and the side ,seam the top edge by twisting the work 90degrees to form a triangle(hold middle of front and marry up with middle of the back and there is your seam.